Giovanni Cespa obtained a PhD in Economics from the Universitat Autonoma de Barcelona. 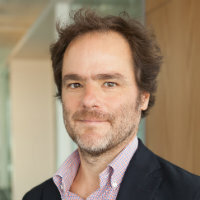 He has previously held teaching and visiting positions in various institutions such as the Universitat Pompeu Fabra (Barcelona), the University of Salerno (Italy), Ente Einaudi (Rome), IESE (Barcelona), and Queen Mary, University of London. His research interests are in the areas Market Microstructure, Corporate Finance, and Corporate Governance. Giovanni has published his articles in the Review of Economic Studies, the Journal of Finance, the Review of Financial Studies, and the Rand Journal of Economics, among others. Currently, he is a research fellow at the CEPR (Financial Economics programme). For the paper "Corporate Social Responsibility and Managerial Entrenchment." My recent research focusses on the relationship between liquidity and asset pricing. In relation to this, a project of mine was awarded an ESRC grant (terminated in December 2012), which led to the production of four papers, all of which have been published (the Review of Economic Studies, Management Science, the Journal of Finance, the Review of Financial Studies). My current projects focus on the impact of High Frequency Trading on market fragility, the welfare of market participants, and platform competition. The effect of insider trading disclosure in fragmented markets. The impact of ETF on market quality and welfare, in segmented markets. Cespa, G. and Foucault, T. (2012). Illiquidity Contagion and Liquidity Crashes. Liquidity and Financial Crisis 12-13 October, Wharton School, Philadelphia, PA.
Cespa, G. and Foucault, T. (2012). Illiquidity Spillovers and Liquidity Crashes. Frontiers of Finance 14-15 September, Warwick Business School. Cespa, G. and Foucault, T. (2012). Illiquidity Spillovers and Liquidity Crashes. Comision Nacional del Mercado de Valores, Madrid 12-14 September, Madrid. Cespa, G. and Foucault, T. (2012). Illiquidity Contagion and Liquidity Crashes. European Finance Association Meeting 15-18 August, Copenhague. Cespa, G. and Vives, X. (2011). Higher Order Expectations, Illiquidity, and Short-term Trading. SED Annual Meeting Gent/Belgium. Cespa, G. and Foucault, T. (2011). Learning from prices, liquidity spillovers, and market segmentation. Royal Economic Society UK. Cespa, G. and Foucault, T. (2011). Learning from prices, liquidity spillovers, and market segmentation. Stern Microstructure Meeting New York. Cespa, G. and Vives, X. (2011). Higher Order Expectation, Illiquidity, and Short-term Trading. ESSEC Business School. Cespa, G. and Foucault, T. (2011). Dealer Attention, Liquidity Spillovers, and Endogenous Market Segmentation. American Finance Association Denver (US). Cespa, G. and Vives, X. (2011). Higher Order Expectation, Illiquidity, and Short-term Trading. CNMV conference "Securities Markets: The Crisis and the Challenges Ahead" Madrid (Spain). Cespa, G. and Vives, X. (2011). Higher Order Expectations, Illiquidity, and Short-term Trading. European Summer Symposium in Economic Theory Gerzensee/Switzerland. Cespa, G. and Vives, X. (2010). Higher order expectations, rational confusion, and short-term trading. ELSE-UCL Workshop in Financial Economics: Markets and Institutions UCL (London). Cespa, G. and Vives, X. (2010). Short-Term Trading, Rational Confusion, and Higher Order Expectations. European Finance Association Frankfurt. Cespa, G. and Vives, X. (2010). Short-Term Trading, Rational Confusion, and Higher Order Expectations. IESEG Workshop in Asset Pricing Paris. Cespa, G. and Foucault, T. (2010). Dealer Attention, Liquidity Spillovers, and Endogenous Market Segmentation. Paris School of Economics. Cespa, G. and Foucault, T. (2010). Dealer Attention, Liquidity Spillovers, and Endogenous Market Segmentation. Acquisition, Use and Transmission of Private Information in Financial Markets: Theory and Applications European University Institute (Firenze). Cespa, G. and Foucault, T. (2010). Dealer Attention, Liquidity Spillovers, and Endogenous Market Segmentation. CSEF-IGIER 6th Symposium on Economics and Institutions Capri. Cespa, G. and Vives, X. (2010). Dynamic Trading and Asset Prices: Keynes vs. Hayek. American Finance Association Atlanta (US). Cespa, G. and Vives, X. (2010). Dynamic Trading and Asset Prices: Keynes vs. Hayek. World Congress of Econometric Society Shanghai (China). Cespa, G. and Foucault, T. (2009). Insiders-Outsiders, Transparency, and the Value of the Ticker. WG Hart Legal Workshop on Law Reform and Financial Markets Institute of Advanced Legal Studies (London). Cespa, G. and Foucault, T. (2008). Insiders-Outsiders, Transparency, and the Value of the Ticker. The Industrial Organisation of Securities Markets: Competition, Liquidity and Network Externalities Center for Financial Studies (Frankfurt). Cespa, G. and Foucault, T. (2008). Insiders-Outsiders, Transparency, and the Value of the Ticker. Western Finance Association Waikoloa (US). Cespa, G. and Foucault, T. (2008). Insiders-Outsiders, Transparency, and the Value of the Ticker. Warwick Business School. Cespa, G. and Vives, X. (2008). Dynamic Trading and Asset Prices: Keynes vs. Hayek. 2008 NSF/NBER/CEME Conference on General Equilibrium and Mathematical Economics Brown University (US). Cespa, G. and Foucault, T. (2008). Insiders-outsiders, transparency and the value of the ticker. Cespa, G. and Vives, X. (2007). Dynamic Trading and Asset Prices: Keynes vs. Hayek. CEPR, European Summer Symposium in Financial Markets Gerzensee. Cespa, G. and Vives, X. (2007). Dynamic Trading and Asset Prices: Keynes vs. Hayek. CEPR-CREI Conference Financial Crises: Past, Theory, Future. UPF (Barcelona). Cespa, G. and Vives, X. (2007). Dynamic Trading and Asset Prices: Keynes vs. Hayek. FMA European Conference IESE (Barcelona). CESPA, G.I.O.V.A.N.N.I. and VIVES, X.A.V.I.E.R. (2015). The Beauty Contest and Short-Term Trading. The Journal of Finance, 70(5), pp. 2099–2154. doi:10.1111/jofi.12279 . Cespa, G. and Foucault, T. (2014). Illiquidity Contagion and Liquidity Crashes. Review of Financial Studies, 27(6), pp. 1615–1660. doi:10.1093/rfs/hhu016 . Cespa, G. and Foucault, T. (2014). Sale of Price Information by Exchanges: Does It Promote Price Discovery? Management Science, 60(1), pp. 148–165. doi:10.1287/mnsc.2013.1735 . Cespa, G. and Vives, X. (2012). Dynamic trading and asset prices: Keynes vs. Hayek. Review of Economic Studies, 79(2), pp. 539–580. doi:10.1093/restud/rdr040 . Cespa, G. (2008). Information sales and insider trading with long-lived information. JOURNAL OF FINANCE, 63(2), pp. 639–672. doi:10.1111/j.1540-6261.2008.01327.x . Cespa, G. and Cestone, G. (2007). Corporate Social Responsibility and Managerial Entrenchment. Journal of Economics & Management Strategy, 16(3), pp. 741–771. doi:10.1111/j.1530-9134.2007.00156.x . Cespa, G. (2005). Giffen goods and market making. Economic Theory, 25(4). doi:10.1007/s00199-003-0461-5 . Cespa, G. (2004). A Comparison of Stock Market Mechanisms. The RAND Journal of Economics, 35(4), pp. 803–803. doi:10.2307/1593775 . Cespa, G. (2002). Short-term investment and equilibrium multiplicity. European Economic Review, 46(9), pp. 1645–1670. doi:10.1016/s0014-2921(02)00256-8 . Cespa, G. and Foucault, T. (2011). Learning From Prices, Liquidity Spillovers, and Market Segmentation. Centre for Economic Policy Research. Cespa, G. and Vives, X. (2011). Expectations, Liquidity, and Short-term Trading. CEPR. Cespa, G. and Vives, X. (2009). Dynamic Trading and Asset Prices: Keynes vs. Hayek. CEPR. Cespa, G. and Foucault, T. (2008). Insiders-Outsiders, Transparency and the Value of the Ticker. CEPR. Cespa, G. and Cestone, G. (2004). Corporate Social Responsibility and Managerial Entrenchment..
Cespa, G. (2004). Information Sales and Insider Trading. Centre for Economic Policy Research. Cespa, G. and Vives, X. (2017). High Frequency Trading and Fragility. Cespa, G. and Vives, X. (2011). Higher Order Expectations, Illiquidity, and Short-term Trading. Cespa, G. and Focault, T. (2011). Learning from Prices, Liquidity Spillovers, and Market Segmentation. Foucault, T. and Cespa, G. (2008). Insiders-outsiders, transparency and the value of the ticker. Cespa, G. (2007). Information Sales and Insider Trading with Long-lived Information. Cespa, G. Long run relationships and price rigidity. Cespa, G. A comparison of stock market mechanisms. Cespa, G. Giffen Goods and Market Making. Cespa, G. and Vives, X. High Frequency Trading and Fragility. Cespa, G. and Colla, P. Market Fragmentation, Dissimulation, and the Disclosure of Insider Trades. Cespa, G. and Vives, X. (2011). Expectations, Liquidity, and Short-term Trading. CESifo Group Munich. Cespa, G. (2003). A Comparison of Stock Market Mechanism. Journal of Financial Markets, Referee, 2016 – present. Review of Financial Studies, Referee, 2013 – present. Review of Asset Pricing Studies, Referee, 2012 – present. American Economic Review, Referee, 2010 – present. Journal of Economic Theory, Referee, 2010 – present. Econometrica, Referee, 2009 – present. Economica, Referee, 2008 – present. The B.E. Journal of Theoretical Economics, Referee, 2007 – present. JEEA, Referee, 2006 – present. European Economic Review, Referee, 2006 – present. Review of Economic Studies, Referee, 2005 – present. Review of Finance, Referee, 2005 – present. Economic Theory, Referee, 2004 – present. Rand Journal of Economics, Referee, 2003 – present. American Finance Association. (Conference) Chicago, US (2017). Invited speaker. Wharton Conference on Liquidity and Financial Crises. (Conference) Philadelphia, US (2016). Invited speaker. American Finance Association. (Conference) San Francisco, US (2016). Invited speaker. Rotterdam School of Management. (Seminar) Rotterdam, Netherlands (2015). Invited speaker. INSEAD. (Seminar) Fontainebleau, France (2015). Invited speaker. HEC, Paris. (Seminar) Paris, France (2015). Invited speaker. GSE workshop on "Information, Competition and Market Frictions". (Conference) Barcelona, Spain (2015). Invited speaker. DB Talk. (Public lecture) Deutsche Bank, London (2014). Invited speaker. ME@Ravello. (Conference) Italy (2014). Invited speaker. Frontiers of Finance. (Conference) U.K. (2014). Invited speaker. Conference on High Frequency Trading, Imperial College Business School. (Conference) London (2014). Invited speaker. Leuven University, Belgium. (Seminar) Leuven, Belgium (2013). Invited speaker. FSA, Seminar. (Seminar) London (2013). Invited speaker. Barcelona GSE conference. (Conference) Barcelona, Spain (2013). Invited speaker. 9th annual central bank workshop on the Microstructure of Financial Markets. (Conference) Frankfurt, Germany (2013). Invited speaker. 6th Financial Risks International Forum. (Conference) Paris, France (2013). Invited speaker. Lunch seminar, London School of Economics, Financial Markets Group. (Seminar) London (2012). Invited speaker. Warthon conference, "Liquidity and Financial Crises". (Conference) Philadelphia, US (2012). Invited speaker. Frontiers of Finance, Warwick Business School. (Conference) Warwick University (2012). Invited speaker. European Finance Association. (Conference) Denmark (2012). Invited speaker. Comision Nacional del Mercado de Valores. (Conference) Madrid, Spain (2012). Invited speaker. (Seminar) ESSEC Business School (2011). Invited speaker. (Seminar) Universite Paris Dauphine - Paris (2011). Invited speaker. Stern Microstructure Meeting. (Conference) New York (2011). Invited speaker. SED Annual Meeting. (Conference) Gent/Belgium (2011). Invited speaker. Securities Markets: The Crisis and the Challenges Ahead. (Conference) Madrid (CNMV) (2011). Invited speaker. Royal Economic Society. (Conference) UK (2011). European Summer Symposium in Economic Theory. (Conference) Gerzensee/Switzerland (2011). Invited speaker. CNMV conference "Securities Markets: The Crisis and the Challenges Ahead". (Conference) Madrid (Spain) (2011). Invited speaker. American Finance Association. (Conference) Denver (US) (2011). Invited speaker. (Seminar) Paris School of Economics (2010). Invited speaker. IESEG Workshop in Asset Pricing. (Workshop) Paris (2010). Invited speaker. ELSE-UCL Workshop in Financial Economics: Markets and Institutions. (Workshop) UCL (London) (2010). Invited speaker. World Congress of Econometric Society. (Conference) Shanghai (China (2010). Invited speaker. European Finance Association. (Conference) Frankfurt (2010). Invited speaker. CSEF-IGIER 6th Symposium on Economics and Institutions. (Conference) Capri (2010). Invited speaker. American Finance Association. (Conference) Atlanta (US) (2010). Invited speaker. Acquisition, Use and Transmission of Private Information in Financial Markets: Theory and Applications. (Conference) European University Institute (Firenze) (2010). Invited speaker. (Seminar) Cass Business School (2009). Invited speaker. WG Hart Legal Workshop on Law Reform and Financial Markets. (Workshop) Institute of Advanced Legal Studies (London) (2009). Invited speaker. Western Finance Association. (Conference) Waikoloa (US) (2008). Invited speaker. The Industrial Organisation of Securities Markets: Competition, Liquidity and Network Externalities. (Conference) Center for Financial Studies (Frankfurt) (2008). Invited speaker. 2008 NSF/NBER/CEME Conference on General Equilibrium and Mathematical Economics. (Conference) Brown University (US) (2008). Invited speaker. (Seminar) European University Institute (Firenze) (2007). Invited speaker. FMA European Conference. (Conference) IESE (Barcelona) (2007). Invited speaker. CEPR, European Summer Symposium in Financial Markets. (Conference) Gerzensee (2007). Invited speaker. CEPR-CREI Conference “Financial Crises: Past, Theory, Future.” (Conference) UPF (Barcelona) (2007). Invited speaker. Persistent noise, investors’ expectations, and market meltdowns. (2014) Voxeu website (website). Europe rails against high-frequency trading. (2013) SNL .com (website). Signal Failure: why Illiquidity in One Asset can Spread Quickly to Others. (2012) The Economist (website). Expectations and Asset Prices: Keynes meets Hayek. (2012) Voxeu (website).